From a few tastefully placed accent plants to a lush interior garden, a commercial office space looking for the calming, softening addition of plants throughout the workspace to a residence with the welcoming warmth of tropical foliage, we can help. Or perhaps your desire is a stunning green wall or large pots or window boxes, we do that too. Sea Mist Interiorscapes helps our clients by literally adding life to your environment. With the immense range of container possibilities, the huge diversity of plant sizes, shapes, growth habit and color and the many creative ways plants can be used, we bring life to your vision. We provide a full range of interior plantscape services including design, installation and guaranteed interior plant maintenance for both commercial and residential clients. We install and service containerized plantings, superb living walls, and exterior containerized plantings. Sea Mist also offers short term interior plant leasing enabling beautiful plants to be affordable for seasonal operations. For events including graduations, speaking engagements, and weddings we rent plants and containers, delivering, setting up, and picking the plants up when the event is finished. The founder of Sea Mist Interiorscapes, Jean-Pierre La Tourette, grew up around plants. His father graduated from Rutgers as a landscape architect and both parents were avid gardeners and students of nature. Working summers during college on grounds maintenance and landscape installation at the beautiful Princeton, NJ campus of Educational Testing Service, Jean-Pierre graduated with a BS in plant science from UNH in 1977. After UNH, he worked with a local landscaping firm who had a client that approached them about caring for their interior plants. While the landscaping firm had no interest, Jean-Pierre saw an opportunity. Always fascinated with indoor plants, when the landscape season ended, he approached the client with an offer to provide indoor plants and care for them. In January of 1978 he formed Flora Ventures, Inc. While initially Flora Ventures was exclusively an interior plant care company, over time they expanded into retail plant sales, then added floral services at their location on 2 Exeter Rd in Newmarket, NH becoming one of the top 1000 FTD florists worldwide. After 3 decades at Flora Ventures, Inc, Jean-Pierre decided to return to his true passion of interiorscaping. In 2009, he sold the retail and floral portion of the business with the rights to the well known Flora Ventures name to long time floral manager Patricia Cowhig. 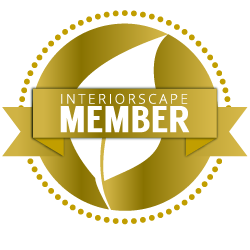 Having come full circle, the resulting interior plantscape business was renamed Sea Mist Interiorscapes, Inc to convey a clearer image of what the company does. ASICS, Federal Reserve Bank of Boston, Bottomline Technologies, Paul College, Sonos, Maine General Hospital Augusta, Comcast, AIS Furniture Systems Leominster, Portsmouth Regional Hospital, Henkel, Optima Bank, Albany International, Berwick Academy, Preston Real Estate, The Wolfeboro Inn, Kronos, UNH, Long Term Care Partners, TMS Architects, Seacoast Orthopedics and many others.